With Super Mario Cereal Odyssey, Nintendo and Kellogg’s have teamed up to take fans on a breakfast odyssey that will continue long after the cereal box is empty. 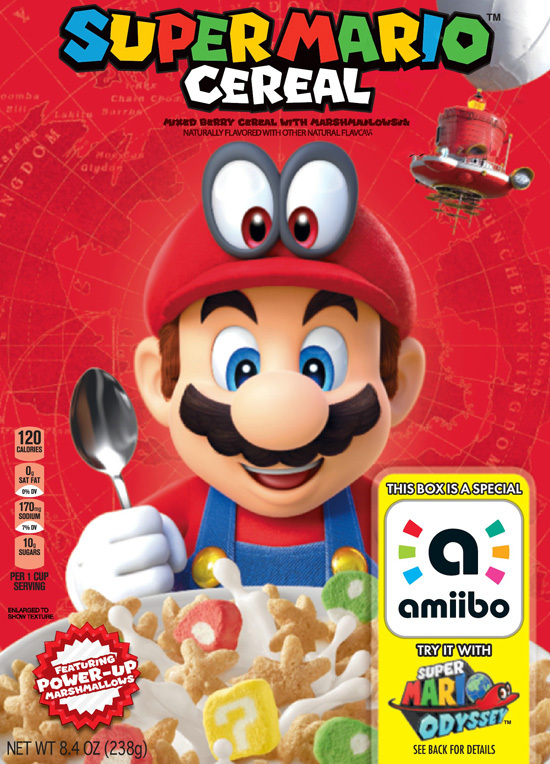 In addition to collectible Super Mario Odyssey box art, each Super Mario Cereal box functions as an amiibo accessory, making breakfast a more playful experience. The limited-edition cereal box will begin hitting store shelves across the U.S. as early as Dec. 11. 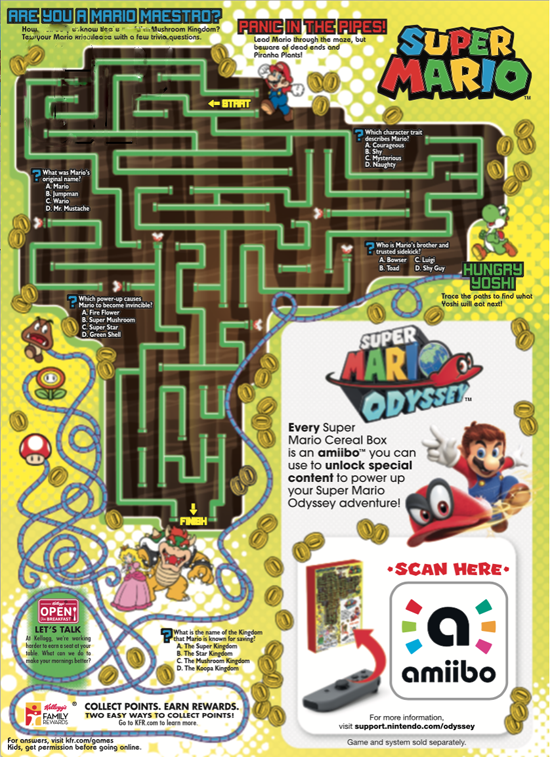 Those playing the Super Mario Odyssey game can tap the cereal box on the Nintendo Switch system, like you would an amiibo, to receive gold coins or a heart in the game. Even the cereal itself has a Super Mario twist, with colorful power-up marshmallows and a blast of mixed berry flavor in every box.